It’s been lionized in countless films. Great men have written masterpieces recalling their experiences about it. And now, a woman named Alice has used that era to make you a bag. Presenting Forestbound, a Boston-based design shop that creates handmade bags from salvaged WWII canvas, available online now. Think of this as Saving Private Ryan: The Duffel Bag. Alice starts with the heaviest WWII canvas she can find, loaded with unique detailing (say, the printing of a soldier’s name on a bag). Then, she fashions straps and handles out of cotton and canvas webbing from WWII duffel bags, as well as WWII-era hardware (more clasps and buttons than, say, machine guns). The result: rugged carryalls with a tie to the downfall of Hitler. 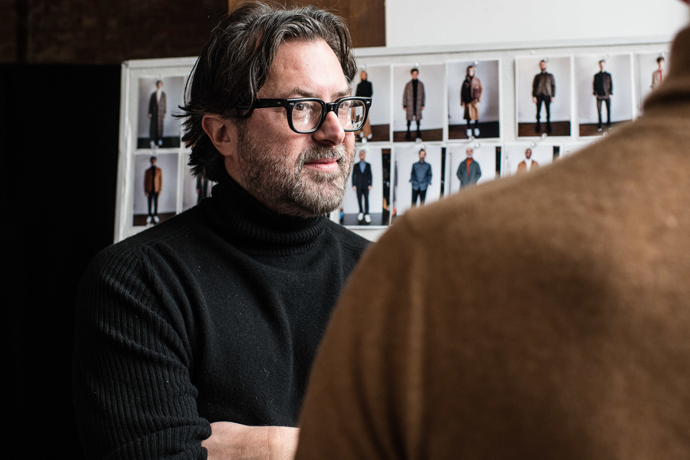 And because you’re also a Massachusetts buff, you’ll be happy to know that roughly 90% of the materials come from New England, sourced at everything from barn sales and flea markets to auctions and estate sales. 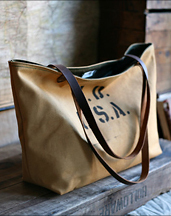 Our favorite piece: the to-the-point-named Men’s WWII Canvas Duffel Bag. We hear Tom Hanks has a silo full of them.